By now Bitcoin shouldn't be a new thing to you , if it is then i'll just need to highlight you you on it . Bitcoin can simply be describe as digital currency , same way we have physical cash , bitcoin is more like the digital or online currency . Bitcoin has been in existence for a very long time , but just this year and like few days ago it made a really great impact as 1 bitcoin was worth above $10,000 , so as you can see bitcoin is really moving fast. Bitcoin can be used in trading and purchasing of goods and lots more , it's the best way of transaction for this digital age . 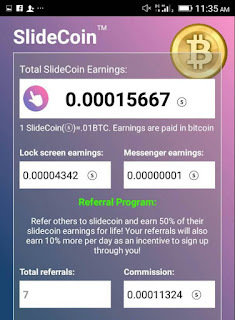 Fast forwarding to how to earn free bitcoin using slidecoin , slidecoin is and app just like sliideairtime that reward user who use their app or refer friends to their app with free bitcoin , but before then i would like you to know that as physical cash is being stored in the bank/account so is bitcoin being stored in a wallet , and there are different agency that provide wallet but today we will be dealing with CoinBase for our wallet. First of all you will need to create a wallet with CoinBase App . 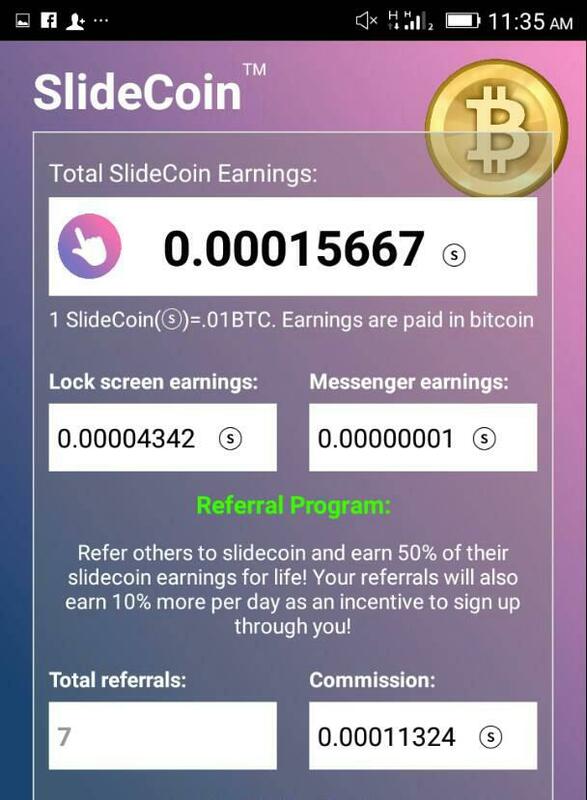 Download SlideCoin here and register using this referral code "NUE496" for 10% bonus . Relax and set the app as defualt and let it generate bitcoin for you , you can also refer friends to get bonus , don't forget to use NUE496 as referral code . Cash out is every 24hours and goes to your coinbase verified account . You can transfer your bitcoin from coinbase wallet to any other wallet .